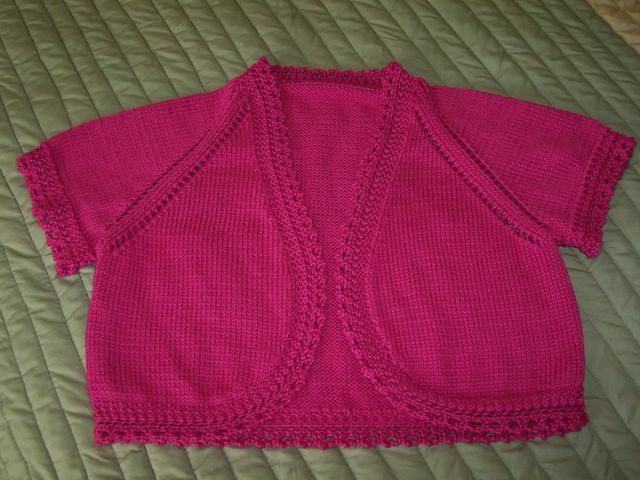 And this is the little jacket I made. The pattern is the Lace Trim Bolero from Vogue Knitting Magazine Spring/Summer 2005. It was fun to knit and the pattern was pretty easy to follow, but the lace trim got a little tiring after a while.